I am pleased to announce the publication of the first Hebrew translation of one of my books! 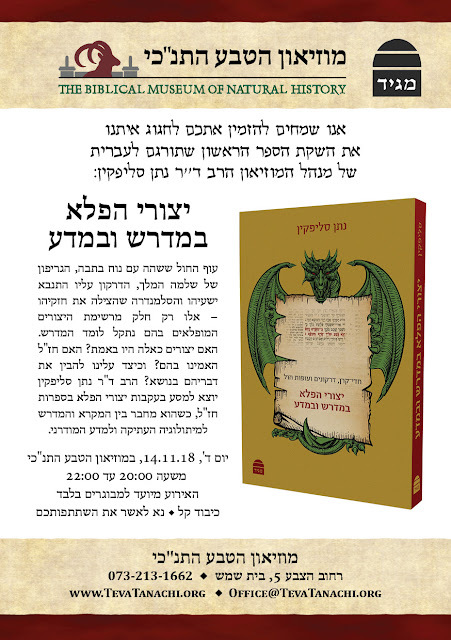 The book is Sacred Monsters (the revised and expanded edition of Mysterious Creatures), which has just been published in Hebrew under the title Yitzurei Ha-Pele BeMidrash U-veMada. The translation was done by Dr. Yehoshua Stokar, and the book was published by Koren Publishers under the Maggid imprint. There will be a book launch taking place at the Biblical Museum of Natural History this Wednesday night. In a future post, I shall be addressing the question of whether this book should also be considered to be in cherem, like the original English book. If you're not able to make it to the book launch (where the book will be sold at a discount), you can also buy it online at this link. 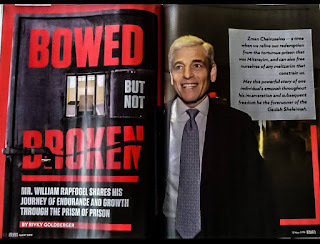 It makes a great gift for Hebrew-speaking teenagers, for people struggling with conflicts between Chazal and science, or for your favorite member of the Moetzes Gedolei HaTorah! Wishing you much success. I didn't like the jab at the end of the last sentence. Do you have a digital version ? Actually, I think that all things considered, I'm pretty restrained.